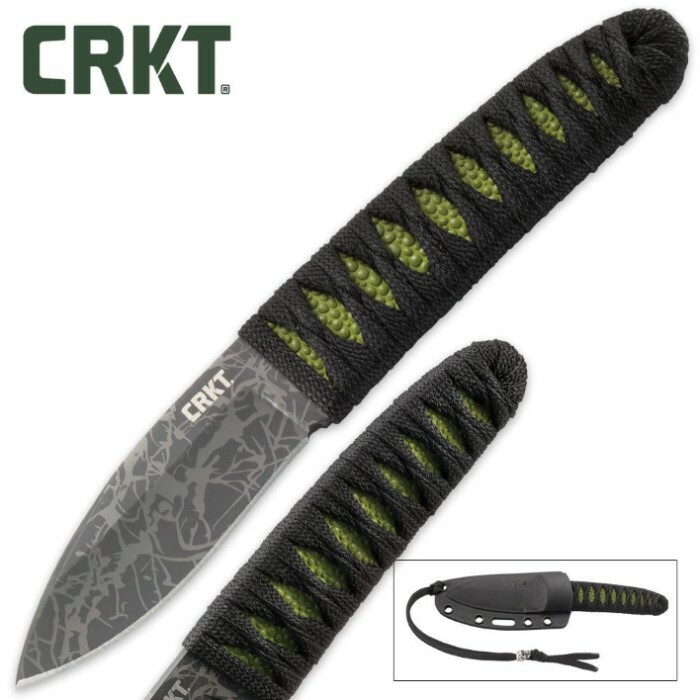 CRKT Achi Fixed Blade Knife | BUDK.com - Knives & Swords At The Lowest Prices! 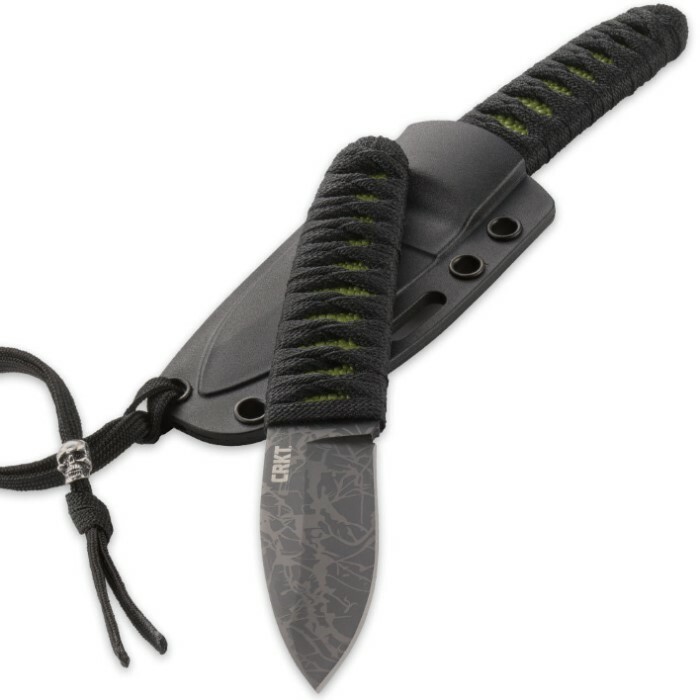 Lucas Burnley's Achi Fixed Blade Knife presented by CRKT is designed as an everyday carry knife that is elegant and precise. 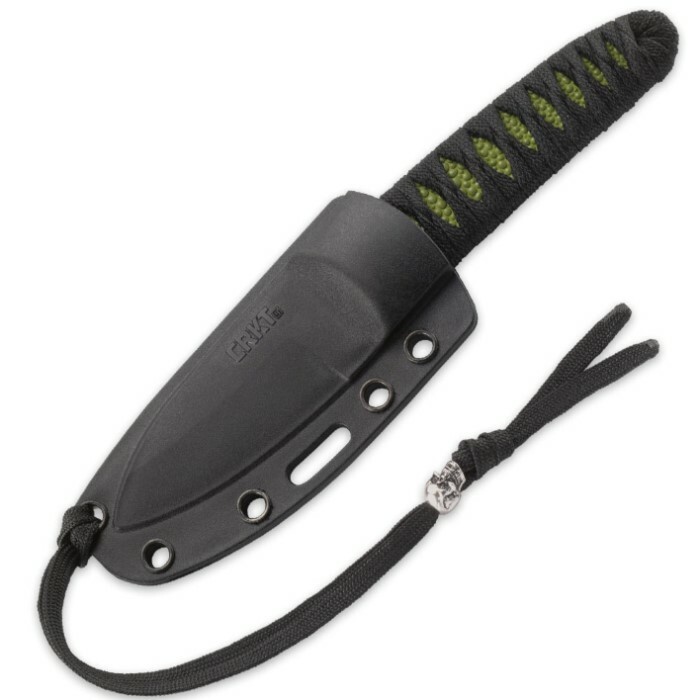 The just under 3" drop point blade is made of 8Cr13MoV stainless steel with a striking acid-etched pattern and has a slight recurve. The cord-wrapped handle overlays neon green faux ray skin and gives you a firm slip-free grip when you work it. A glass reinforced nylon sheath completes the package.